Their bodies need to move, and they have a hard time sitting still. Their engines are running high, and they have a hard time settling down. They are constantly interrupting each other and not listening to one another. They find it hard to make time to do everything that is beneficial to all the students. Many of the children lack self-control and are very impulsive. A lot of the children have self-regulation issues and have a hard time focusing on specific tasks. I’ve been hearing that children everywhere are having dysregulation issues. Some people say it’s due to increased technology use and over-scheduled lives. Whatever the reason, many early childhood teachers are turning to yoga and mindfulness to help their children calm down and focus in their classrooms. 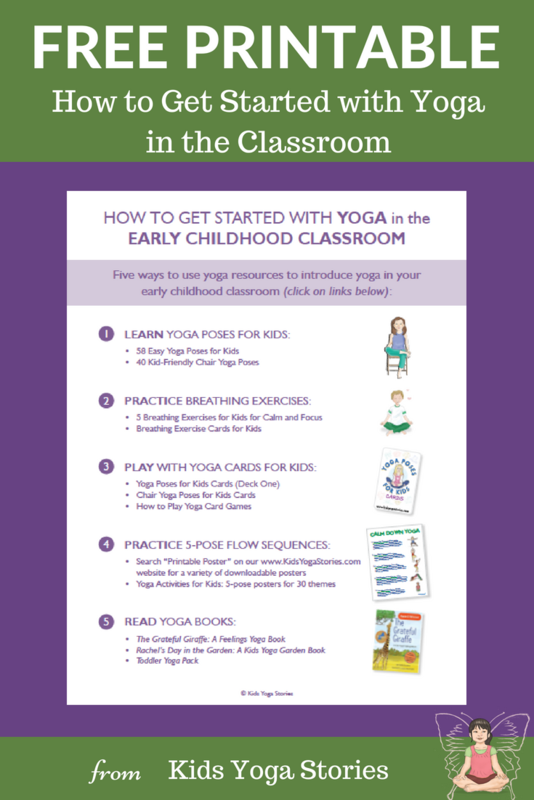 But the question remains – how do you get started with yoga in the classroom with little or no experience yourself? The good news is that you don’t have to know it all or do it all. Keep it simple, meaningful, and fun. After looking at the list of five main resources below, pick out one idea that you’d like to start with in your classroom. Pick one technique, try it out yourself first, and then introduce it to your children. So, what does it look like to integrate yoga into your classroom? If you love yoga postures, print out a yoga poster below and practice a five-pose sequence based on a particular theme. If you are inspired to start a daily meditation practice at home, then maybe you’d like to introduce a “sitting silently” practice in your classroom after recess to help to refocus. If breathing techniques help you calm your own anxiety, try introducing Flower Breath before each class meeting to help your students slow down and calm their bodies. If you’re more into playful games, then grab a deck of yoga cards and play yoga card games with your students. If you’re a book buff, then try reading and acting out a yoga book in your reading corner or projecting a PDF yoga book on your smartboard. 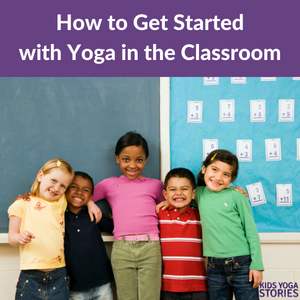 There is no right answer of how to get started with yoga in the classroom. But the main idea is to just get started. Give it a go and remember that you are planting seeds in your children to create a healthy practice for life. 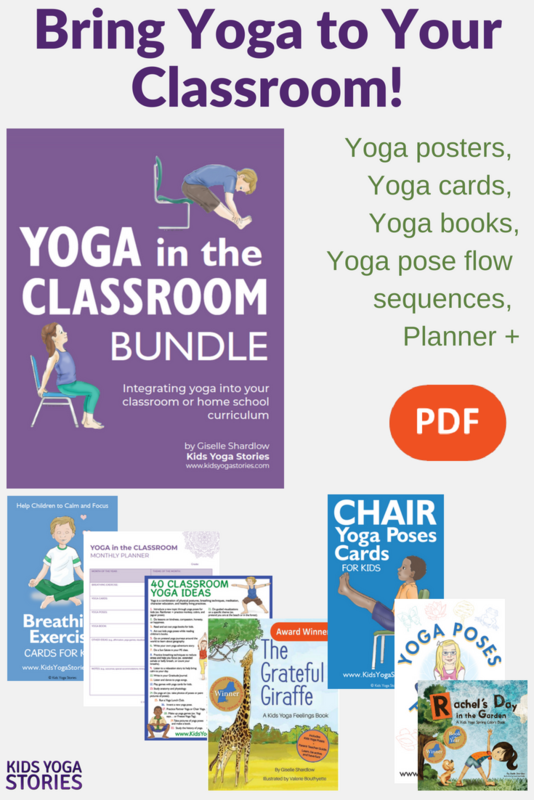 Powerfully teach yoga in the classroom with this bundle of tools. You’ll have confidence and new ideas to hit the ground running this school year! With this vast and carefully curated library of Kids Yoga Stories resources, you’ll be a yoga powerhouse in the classroom. 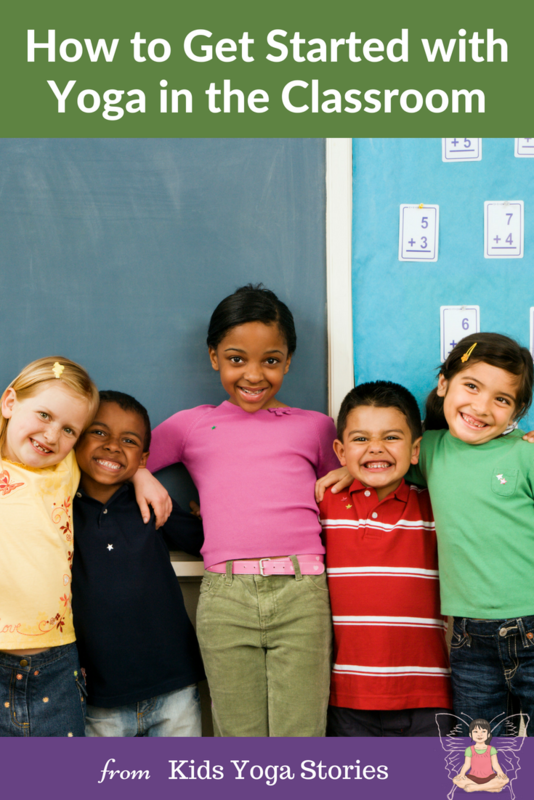 You’ll have confidence and plenty of new ideas to hit the ground running this school year. For more yoga tips and kids yoga resources, join our weekly Kids Yoga Stories newsletter by adding your name and email to the box at the top of the page. I saw you in Soar to Success Summit today! You opened my world! I teach first grade and I want to try this! Excellent, thanks so much, Heidi! We’re here to help! Hi ! I met you at soar to success summit. I am eager to implement it in my child care in India 🇮🇳.